We Are The Dream: Remembering Martin Luther King Jr.
Posted on January 13, 2017 at 9:00:00 am by Elaina R.
Martin Luther King Jr. day is fast approaching, and so is Heartland Sings’ annual We Are the Dream concert. 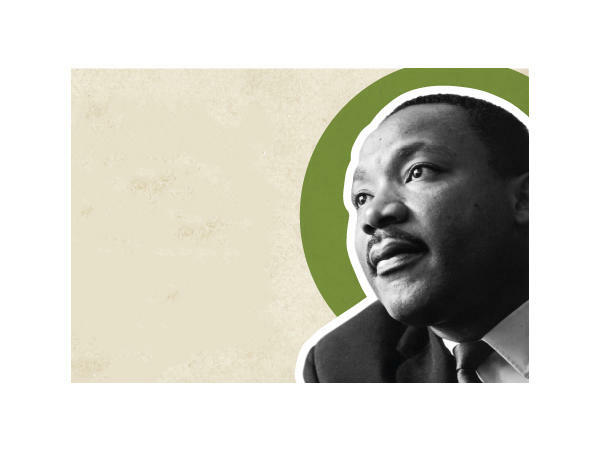 This concert honoring the life and legacy of Martin Luther King Jr. includes narration, solos, and choral numbers. I participated in this concert for the first time last year and was shocked by how touching it was (I may have cried). This year we are doing two performances, one in January and another in February, with auxiliary performances in schools at other times of the year. Janice Furtner, who wrote the script and serves as the narrator for the concert, was kind enough to answer a few questions about this salient event. Me: How long has Heartland been performing the We Are the Dream concert? Janice: Heartland Sings has been involved with an MLK Celebration for many years. 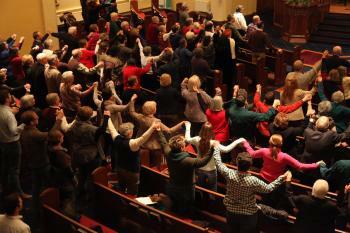 The first time we performed the We Are The Dream program was on Monday, January 21, 2013. The performance was held in the North Campus Auditorium of the University of Saint Francis. Originally, the concert combined the Heartland Chamber Chorale with the University Singers of Saint Francis, all directed by Maestro Robert Nance. Me: How did the idea for this concert form? Janice: The concert We Are The Dream is the combination of three elements. The first is the extraordinary content of Dr. King’s inspirational speeches, sermons and writings (I have always wanted many voices to read the words of Dr. King because of my heartfelt belief that these powerful words belong to us all). The second element is the music of the Civil Rights Movement combined with spirituals and songs based on Dr. King’s words. And the third part is the story of Dr. King’s life in the form of a narrative. My background in performance, music history, oratory and writing affords me the opportunity to combine all these elements into a dramatic whole. Me: How do you prepare for your challenging role narrating this concert? 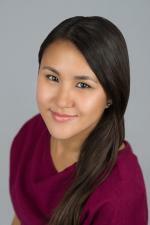 Janice: Each time I return to the role of narrator in We Are The Dream, I immerse myself in the writings of Dr. King. I think of my narration as the thread that weaves the inspirational past with the promise of our present. Each year, I am hopeful that we will find ourselves in “the dream” of a future that Dr. King spoke about, where light drives out the darkness and love overcomes hate. Me: What is your favorite part of the concert? Janice: Must I choose just one? After we have heard this mountain of powerful words, I am grateful that we all have the opportunity to respond in song. When the whole assembly, performers and audience alike, join hands and sing We Shall Overcome, it moves me to tears. Me too, Janice, me too! If you want to attend this moving event, you have two opportunities, and both are free.